Hello everyone, today I have a quick and easy tutorial for you using the Stila In The Light palette, but all it requires is a black, bronze, and highlight shade which you can get in most palettes. 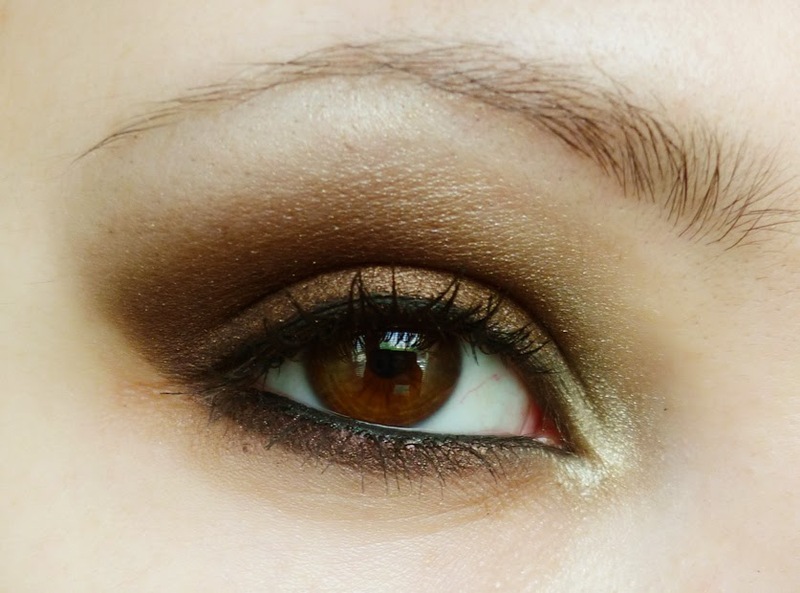 First I used Ebony (black) all over the lid, and on top of that put Gilded Gold (bronze) all over the lid and slightly under the lower lash line, then finished off with a bit of Bare in the inner corner. I love easy looks like this, in my opinion it always looks better layering two shades than using one, and if you have quite a defined crease this can look better than the usual contouring eye look.